She shook hands with James Cordon and was a Hanson fan-girl back in the day. A few months ago, her man liked it so he put a ring on it! More about Emily Mason, our Customer Success Specialist. 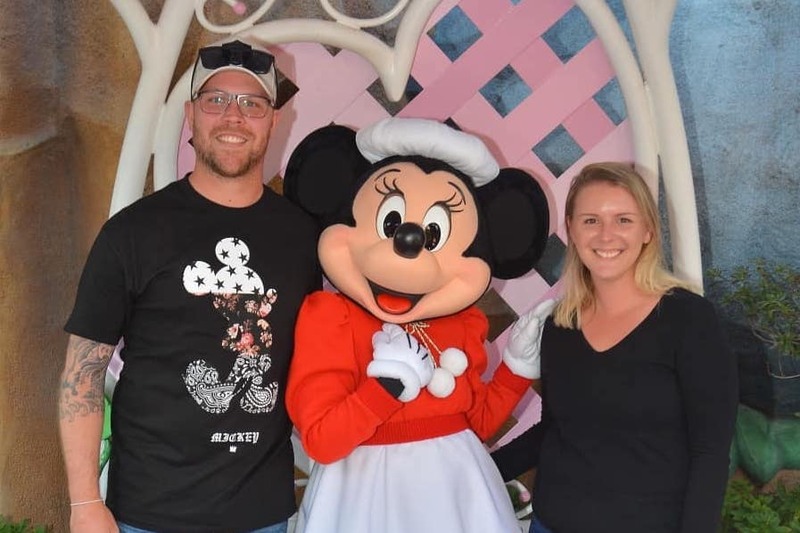 Emily with Richie and Minnie Mouse – taken last year at Disneyland. Tell us about yourself and what you love to do: I was born and raised in Sydney and live in the beachside suburb of Cronulla. As a child, I lived in the UK when my father was selected to play representative cricket and that opportunity had my parents and I backpacking around Europe and having all sorts of fun. Last year was an amazing year for me – my partner got down on one knee and popped the question (of course I said yes!). My fiancé’s name is Richie. We're both creative and we recently painted all our save the dates for our wedding. We’ve done a lot of travelling together and aim to go to at least two new places every year. In 2018, we did a big trip over in the States and went to Los Angeles and Las Vegas, stopping by Palm Springs and Joshua Tree. Our travel plans are on hold for the time being as we save for our wedding in 2020, however, we still plan to squeeze in a road trip to Queensland and check out some small towns we’ve never been to before. What do you do at Spotlight Reporting? The cool thing with Spotlight is that the company is growing so quickly, there are opportunities to move around. I started two and a half years ago in the Education & Support Team in a support role, then I transitioned to the Customer Success Team after a year. Now I’m a Customer Success Specialist for Australia and Asia. My job is to ensure our SVCFO partners have a successful plan to deploy Spotlight in their business. This is really crucial for making sure they get maximum use out of our product, as well as for retention and advocacy. Best part of your job? Being able to work with clients and end users. I love providing valuable advice and guidance to help our clients grow their business. I’m currently hosting a 9-week course called ‘Transform In Action’ for Accounting firms to give practical advice and actions on how to move into the advisory space. As the lead on this initiative, I’ve really enjoyed the teaching side of it and the discussions have been great. The feedback and conversations have been really thought-provoking and I can’t wait to start the next round later this year. Why did you choose to work for us? Before I came to Spotlight Reporting, I was at a cloud-based bookkeeping firm as an Operations Manager and as a Customer Service Manager. In 2016, I was looking for a new challenge and at the time, there were job openings. When I did my homework, I could see that Spotlight Reporting was still doing heaps of cool and exciting things, not only in the product space, but in the area of advisory. That struck a chord for me and was a big motivator for me to join the awesome team here. Your biggest win so far? Last year, I helped transition one of our partners from service provider to trusted advisor. The firm was going through a lull and only had one person running all the advisory services for the firm, despite having quite a few divisions in the business. Through careful auditing and needs analysis profiling, I was able to understand the exact reasons why the firm had lost momentum. I developed a transformation strategy with my colleague (who’s an Account Manager) and together, we ran a really good webinar to the wider teams in the firm, re-introducing Spotlight to ensure they knew it inside and out. 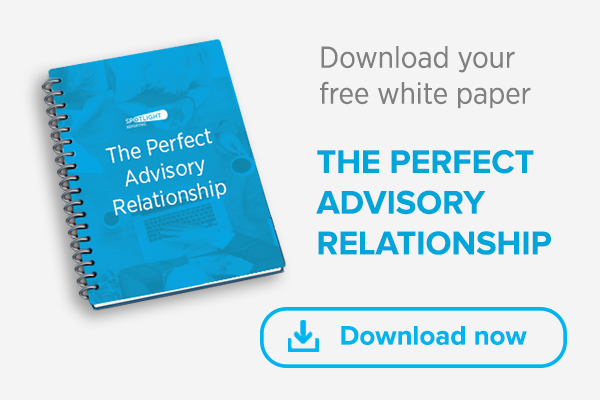 We spoke about how each team could assist in getting advisory across the line and gave each of them a really clear and actionable path to follow. The end result after their transformation was that their advisory services tripled, which meant a big spike to their growth and profit! I love being part of these wins – in my role, I get to experience these kinds of things regularly, which makes it easy to get out of bed every day. LA to Vegas, via Palm Springs. Packing and delivering soap to pharmacies. Margot Robbie (got a wave) and James Corden (shook his hand). Remembering that I’m getting married next year. Hanging clothes on coat hangers. 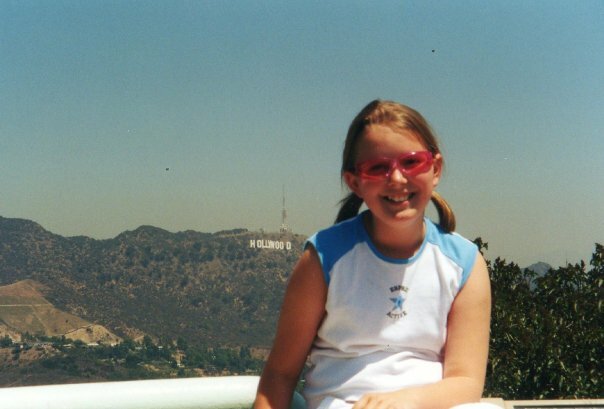 A throwback to the 90's when Emily was in Hollywood!